Arthur Dent and Ford Prefect learn why Earth has been shunned by the rest of the Galaxy as they journey through space and time. Read by the author. 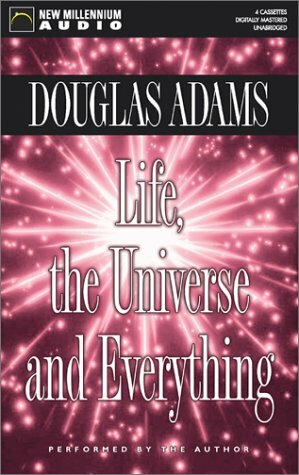 Amazon.com description: Product Description: Arthur Dent and Ford Prefect learn why Earth has been shunned by the rest of the Galaxy as they journey through space and time.